We’ve been enjoying some glorious autumn foliage these past few weeks, but there are plenty of plants that remain stubbornly green. In fact, their leaves stay green no matter what the season—that’s why we call them evergreens. 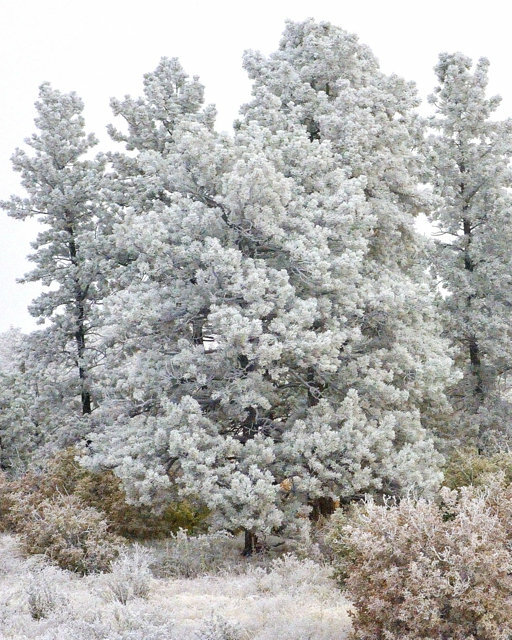 With winter just around the corner, I began to wonder—how do evergreens survive our cold winters? Why don’t they lose their leaves? 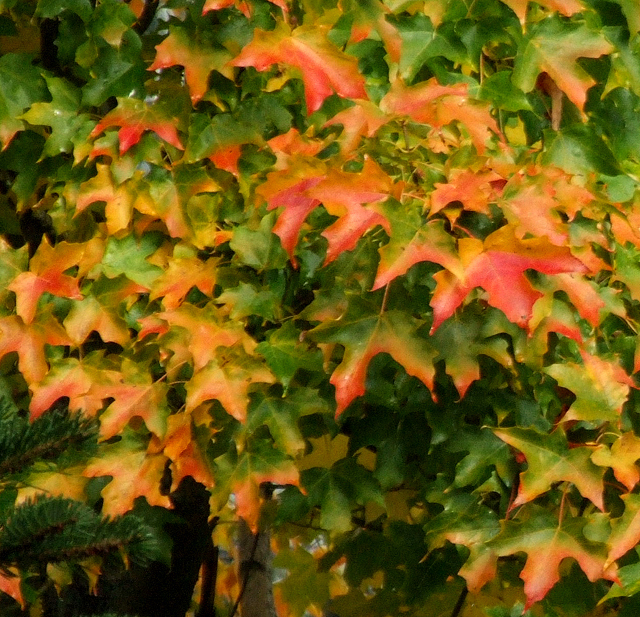 You probably remember learning about fall color when you were in elementary school. You know that leaves turn colors before they fall, and it had something to do with chlorophyll. But when is the last time you really thought about fall foliage from a botanist’s point of view? As gardeners, we want to know which plants turn which colors so we can use them effectively in the landscape. Here in Colorado, most of us know that aspens turn yellow golden, Gambel’s (scrub) oaks become a flaming reddish orange, and burning bushes (Euonymus alatus) shine in stunning shades of fluorescent pink, purple, and red. But why exactly do they do that? And how? “Deck the balls with boughs of holly” might work well in Merry Olde England, or even in the eastern U.S., but it’s not very practical at my house, just north of Colorado Springs, Colorado. We have too much sunshine, the air and soil is too dry, and our soils are too lean and too alkaline. Holly won’t survive winter’s dessicating winds. At least, that’s what I learned when we moved here. So imagine my surprise a couple of weeks ago when I was out for a walk in a near-by subdivision, and there were two bushes, covered with green leaves and red berries, planted in the strip of soil between the sidewalk and the street. Could it be? The huge zucchini leaf looked as if it had been dusted with flour. The man holding it was looking at me expectantly, waiting for my diagnosis. I was volunteering at our county’s Master Gardener helpdesk, providing free gardening advice to the general public. Sometimes we get stumped, but this time I immediately knew exactly what the problem was.